I then filled my eyebrows in with MAC's Omega and the Maybelline Brow Drama mascara and concealed underneath with the MAC Studio Finish concealer for a clean finish. I then used the Rimmel Wake Me Up concealer under my eyes and the Collection concealer around my nose and on any blemishes. For eyes, I primed with the Smashbox Lid Primer and MAC's 'Bare Study' Paint Pot. I blended MAC's 'Soba' all over the lid and defined my crease with MAC's 'Embark'. I followed this with L'Oreal's Blackbuster Liner and L'Oreal's False Lash Telescopic Mascara. Then I swept 'Embark' on my lower lashline and my eyes are done! To finish my base, I powdered with Bourjois' Healthy Balance Powder, bronzed with Urban Decay's 'Toasted' Bronzer, skipped blush and highlighted with TheBalm's 'Mary LouManizer' highlighter (I also highlighted in my tear duct and under my brow). Finally I slicked on the Revlon Lacquer Balm in 'Provocateur' for a bold lip. 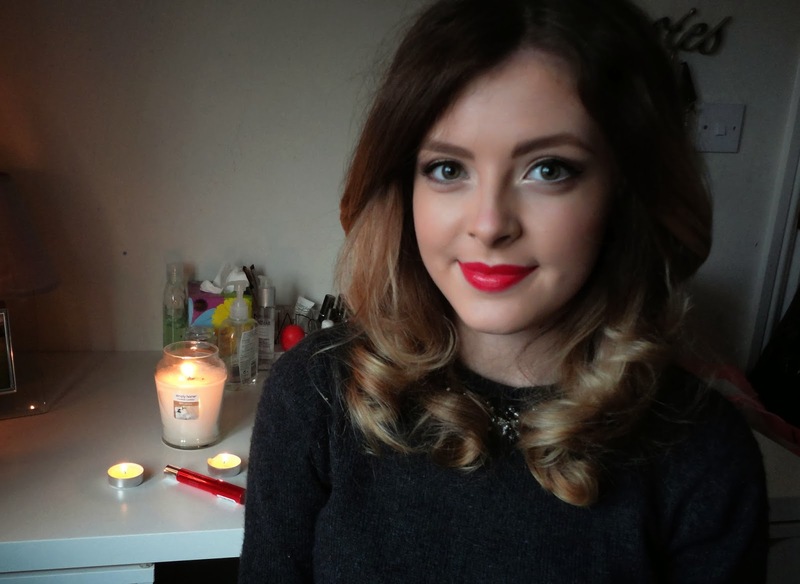 I hope you've enjoyed my first FOTD post, let me know what you think and if I should do more! You look so gorgeous! I wanna squeeze ya!